Finisar is having a great day in the market today after reporting solid earnings after the bell yesterday. While the stock has struggled for the most part of 2015, it seems as though this may be the news that will bring FNSR back up. Today, we’ll talk about the earnings report, take a look at the reaction in the market and discuss what we can expect to see from FNSR moving forward. Earnings Per Share – In the second quarter, analysts expected FNSR to generate earnings in the amount of $0.23 per share. However, in the quarter, the company reported earnings in the amount of $0.25 per share, $0.02 above expectations, which works out to 8% ahead of expectations. Revenue – Revenue for the quarter came in at $321.14 million. However, analysts expected that the company would produce revenue in the amount of $313.86 million. This proved to be 2.3% ahead of expectations and a gain of 8.1% year over year. Historically, when publicly traded companies produce earnings ahead of expectations, we generally see positive activity in the market as a result. That’s exactly what we saw on Friday. By (12:24) FNSR had climbed by $2.47 per share or 21.22% to $14.11 per share. First and foremost, it’s important to remember that price movements in the market tend to happen through a series of overreactions. While I can’t say that today’s gains weren’t at all warranted, I can say definitively that what we’re seeing in the market today is a large overreaction. The bottom line here is that publicly traded companies blow away expectations with regard to earnings and revenue all the time. However, it’s rare that this leads to a gain of more than 20%. Even a gain of 10% is a bit out of question. With that said, we can expect that on either Monday or Tuesday, we will start to see a correction on the stock that brings the value down to a more realistic level. With that said, I do have to say that I have very bullish expectations with regard to what we can expect to see from FNSR moving forward. The company has proven that it is able to produce solid earnings, the products provided by the company are in demand, and it’s clear that management at FNSR is pushing the company into the right direction. Here’s the bottom line… Investors are ultimately investing for growth. Finisar has proven that not only is it capable of maintaining profits, the company is capable of proving growth. With that, investors are getting exactly what they want to see. This is a trend that’s not likely to end, leading to investor excitement in the future and more gains to come. Where do you think FNSR is headed moving forward? Let us know your opinion in the comments below! 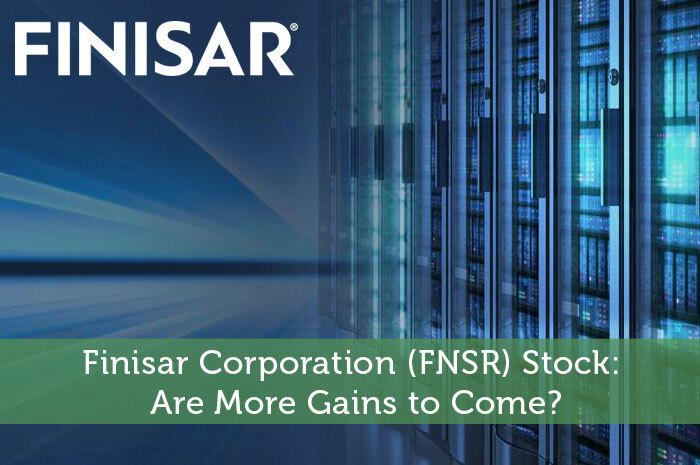 Finisar Corporation (FNSR) Stock: Are More Gains to Come?